The main focus of the Unist’ot’en Camp is healing. 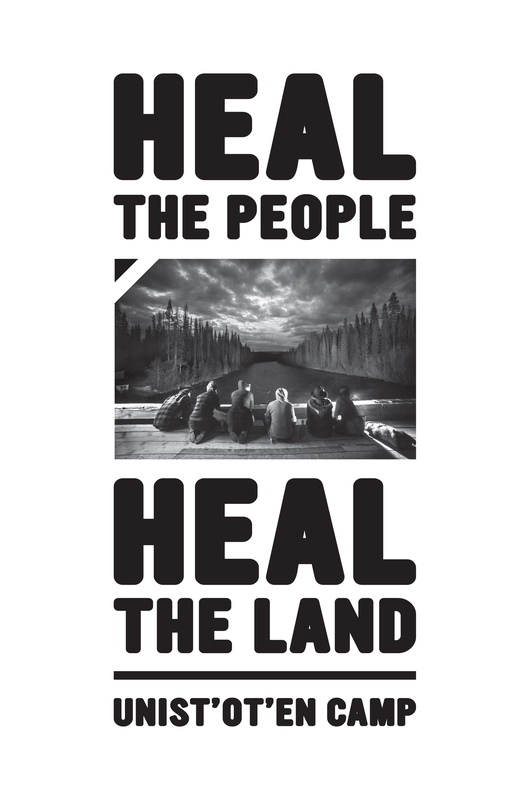 The zine “Heal the People, Heal the Land” was created to share history and testimonials of the healing that takes place at the Unist’ot’en Camp. 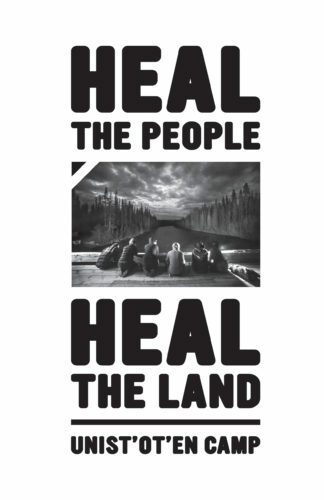 So many indigenous people and reporters have come out to Unist’ot’en land and found it to be healing experience, to live on the land and have a connection with the natural world and our teachings. We saw the healing lodge as an opportunity to expand and offer this to our community members. We envision holding healing camps there. It is a chance to return to some of our traditional teachings and land-based wellness practices of our ancestors. Our people have been impacted by intergenerational trauma, and disconnected from those practices. We are part of something bigger than ourselves. I am hoping we can emphasize how those traditional ways relate to current healing practices, leading to more holistic ways of achieving physical, psychological, and spiritual balance. Art created by indigenous youth at the Youth Art Camp, one of many events held in the Healing Centre on Unist’ot’en territory.